Segway track rides last 7 to 20 minutes depending on time choice. Helmet is provided. Customers must be accompanied with a legal guardian if under the age of 18, must weigh a minimal of 70lbs, and be at least 9 years old. There is a maximum weight limit of 275 pounds. Branson Segway has closed and will not be reopening. 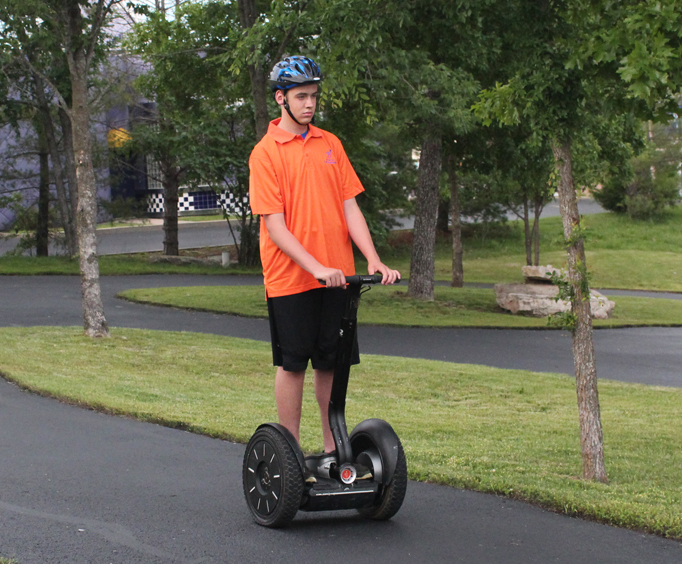 For an exciting activity that is great for the whole family, be sure to take a Branson Segway ride at the Branson Segway & Adventure Center. 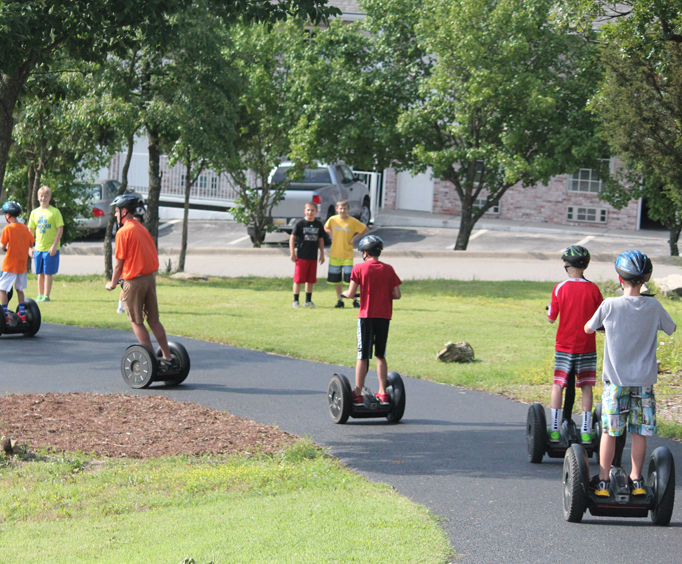 For an experience that is both adventurous and safe, guests are able to explore Branson’s adventure center as they navigate their own Segway PT for either 7, 15, or 20 minutes. The track is free-roaming and exciting for all ages, but don’t worry— a trained staff will be there to teach you how to drive your self-balancing segway and will lead you to the track and make sure you’re feeling confident before they set you free. A helmet is also included with the instructions, so just dress comfortably and feel free to bring sunglasses so that you can ride the outdoor track in style. A Segway is a self-balancing and motorized device. The Segway PT, standing for Personal Transporter, uses gyroscopes in order to stand up straight and is controlled by the drivers leaning and a thin handlebar. 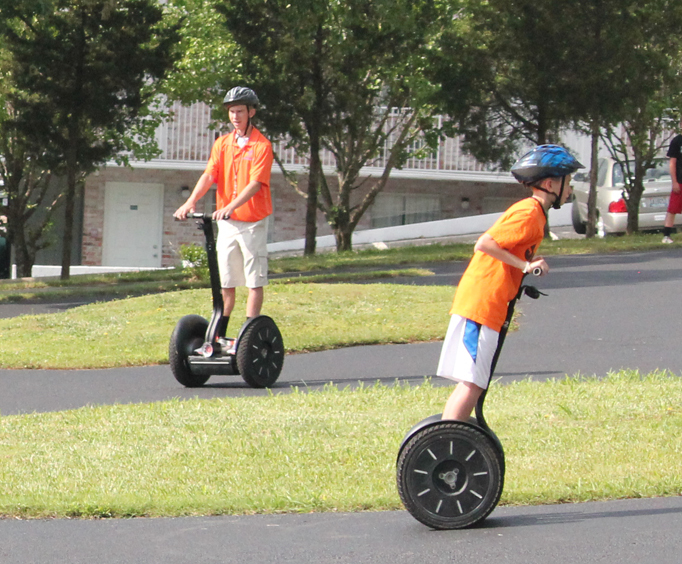 Guests will get a detailed breakdown on how to operate their Segway PT from the Adventure Center’s experienced staff. Customers must be accompanied with a legal guardian if under the age of 18, must weigh a minimal of 70lbs, and be at least 9 years old. There is a maximum weight limit of 275 pounds.